Last week, my husband and I tried this recipe from the 2012 July/August issue of House Beautiful and I have to say, it was the BEST sandwich I’ve ever tasted! We did leave out one ingredient, the red pearl onions, but otherwise we followed the directions to the letter…it was absolutely incredible what the lemon zest and preserved lemon skin did to the flavor of the ricotta, avocado and tomatoes! Each and every ingredient was elevated to a new height (as if I was tasting them for the very first time!) I don’t usually post recipes, but this was so heavenly, I just had to share it with you! I hope you have a chance to try it sometime this summer…if you do, let me know what you think! (try with ice cold champagne/prosecco or your favorite white wine!) Ah, the tastes of summer! 1. Mix the ricotta with the lemon zest, ¼ cup olive oil, and salt and pepper, and set aside. 2. Arrange slices of bread on a cutting board and divide the ricotta mixture evenly among the four slices. Spread into a generous even layer. 3. Split the avocados, remove the pits, and slice each half into even slices without cutting all the way through the leathery skin. Then, with a soup spoon or a flexible rubber spatula, release the flesh and arrange the slices neatly and evenly among the bread slices. 4. 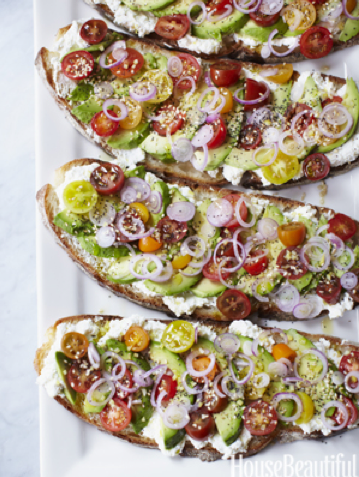 Artfully and attractively arrange the tomatoes by nesting them into the soft avocado. Then arrange the red onion slices over the tomatoes. 5. Garnish each sandwich with the sesame seeds, the preserved lemon skin, and finally, the poppy seeds. Transfer to plates and drizzle with olive oil. 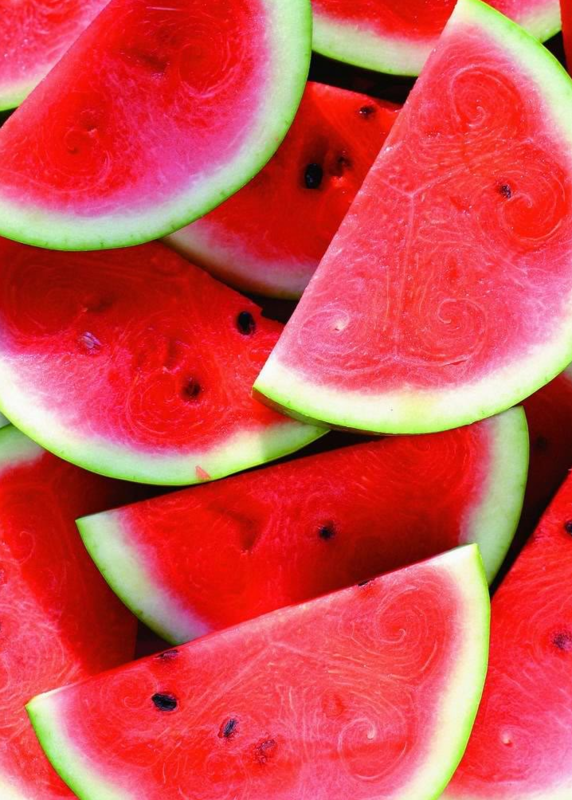 Few tastes compare to a sweet, ripe watermelon…last night, I devoured a few heavenly slices and it left me wanting more! Tonight, I thought I would try this lovely and very simple recipe by Stella Metsovas…if you don’t have feta on hand, you could substitute with goat cheese, ricotta or even queso fresco (all delicious alternatives! )…also, I might add a drizzle of aged balsamic or extra-virgin olive oil…yum! Let me know if you try it and what you think! Cube the watermelon in 1″ cubes and set aside. Drain the feta. Using a sharp knife, cut the feta in small pieces. Assemble the cubed watermelon on a plate, scattering the feta pieces around the watermelon. Finally, tear the pieces of basil, dressing the dish with the basil.